Extreme weather conditions are not just extreme for us, they are extreme for our four-legged pals as well! While we can wrap ourselves up in coats, blankets, hats, and scarves to prepare ourselves for the elements we should really stop to think about our furry companions as well. This was a lesson that was learned too late for Sarah Garner, 31. She was out for her usual walk with her Border Collie on Thursday morning when she noticed her dog was refusing to walk. It was then that she noticed blood on the grass and swiftly checked his paws. 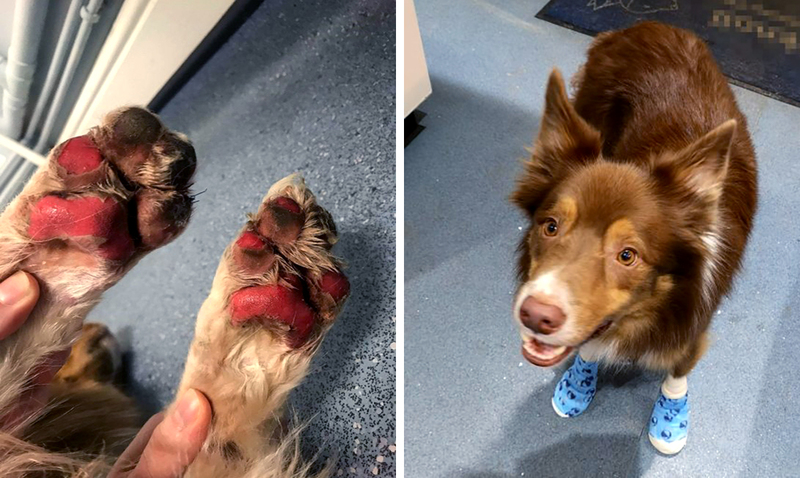 “When we were coming back from our normal morning walk we noticed blood on the frosty grass and that Chase was not wanting to walk. 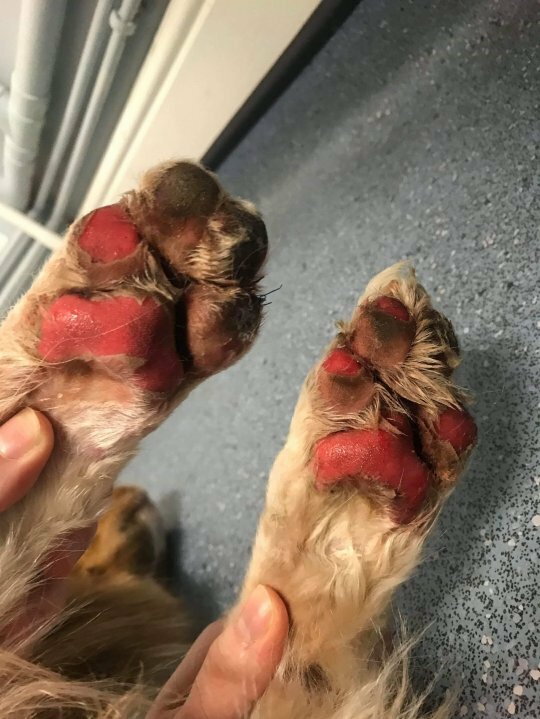 I could see that the bottom of his paws had appeared to burn off, so my partner quickly picked him up and rushed him to the car. 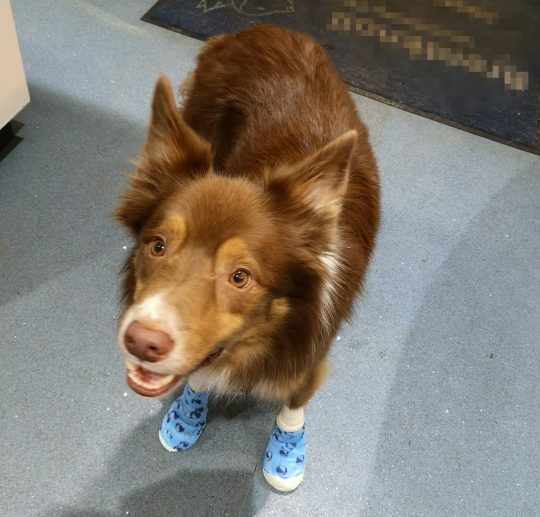 We went straight to the vets where he had his feet cleaned, dressed and he was given some pain relief and then we decided he should have laser treatment to help the healing process. By posting this she is hoping that others will learn from her mistakes. Once he’s allowed to go back out for walks he’s going to be wearing snow boots to stop this from happening again. It’s really sad to see him how he is now and see the evident pain that he went through, but hopefully, with the shoes, this won’t happen again. So the next time you are about to take your best friend out into the elements considers the weather. Heat and cold hurt them just as much as they hurt us!